Despite easterly winds this weekend the cod were still biting even if other fish were a little quiet. 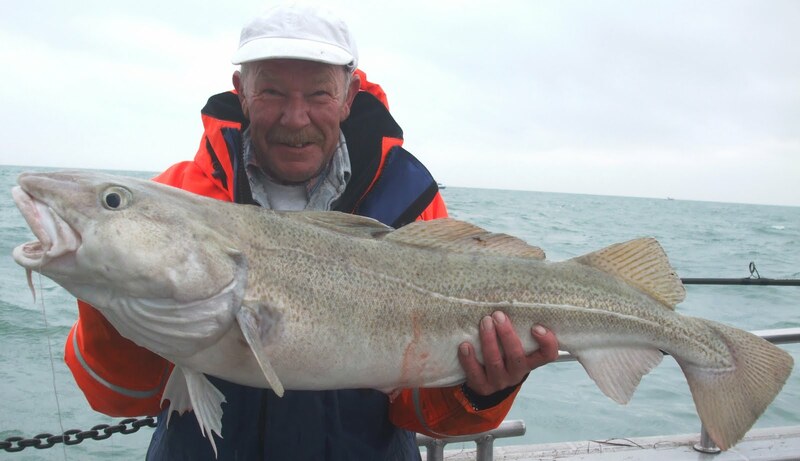 Plenty of dogfish of course to keep rod tips twitching, the winning formula seemed to be bigger baits with the 23.5lber falling to a 7 squid cocktail. This year the British Cod championships were fished south of the needles on both days. We manged 6 fish with 2 over 20lb. 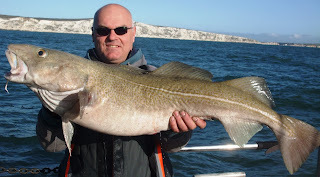 The biggest fish was little over 25lb each day and the top boat had 10 fish over the 2 days. 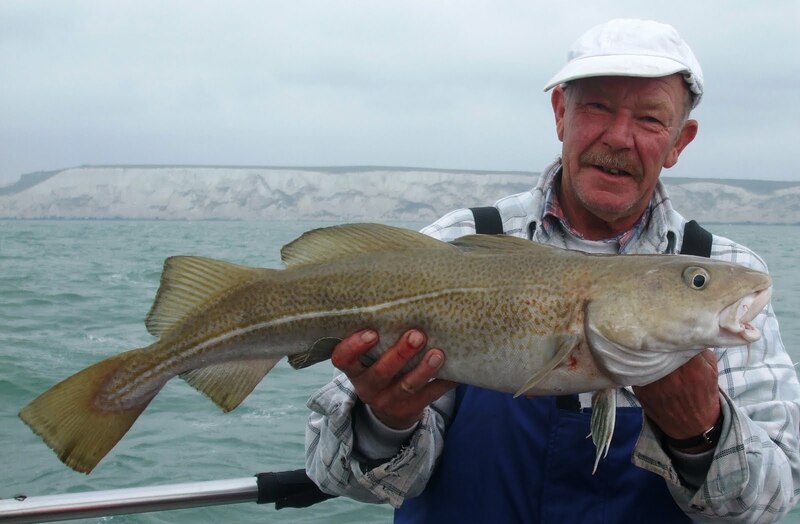 the winning angler had 6 fish totalling over 70lb. 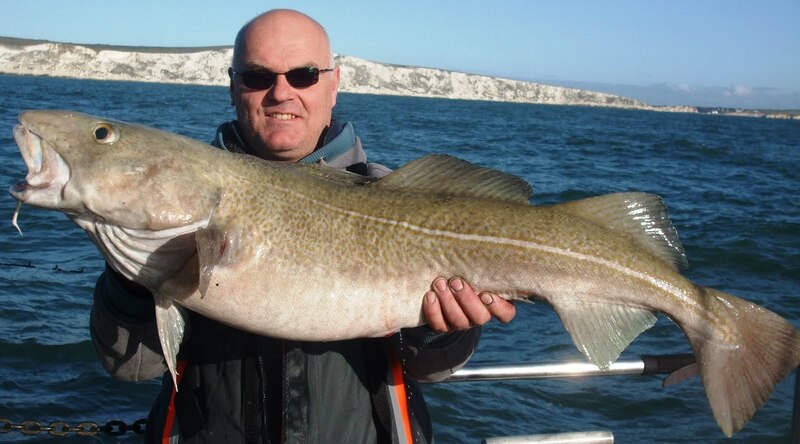 First winter cod of the year!! Winter codding is off to an impressive start!! 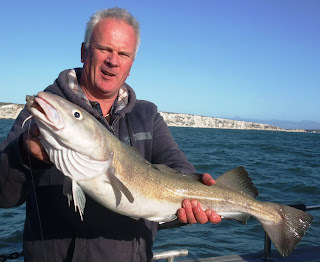 With a break in the weather Skipper Sam took a few keen anglers out for a couple of hours yesterday afternoon with positive results. 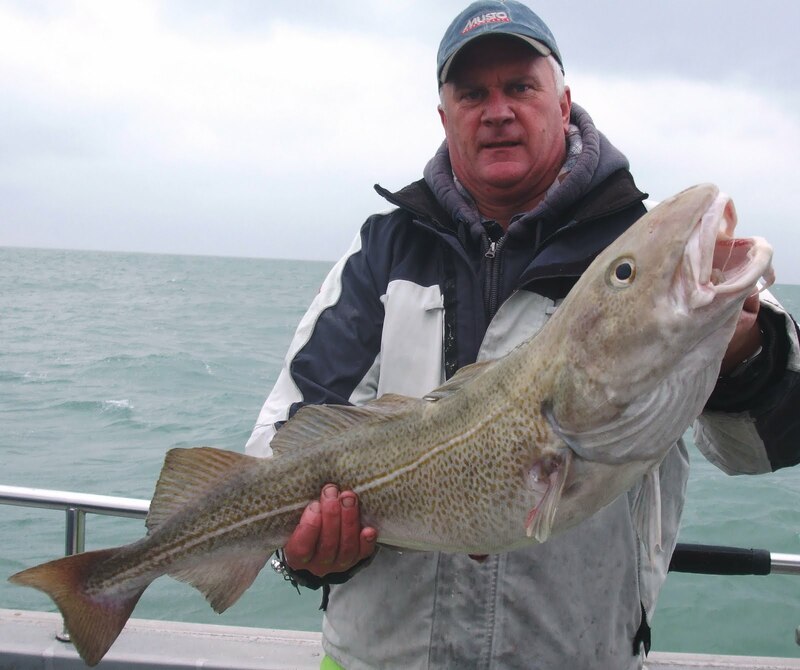 Among the masses of doggies angler Dave Lynes managed to pluck out a spotted ray, a bass and the first of the seasons winter cod weighing in at 24lb4oz. Setting the bar ncie and high for the rest of the season!